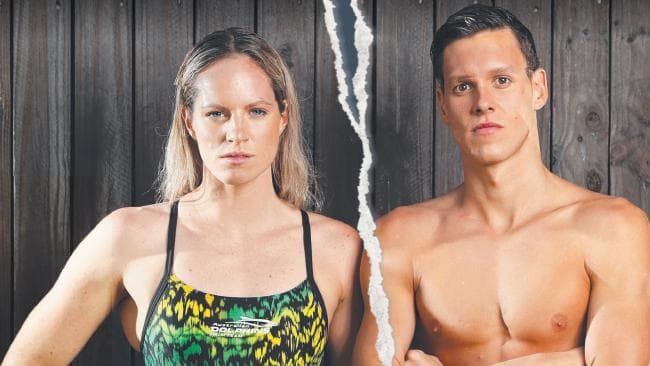 Emily Seebohm and Mitch Larkin’s break-up sent shockwaves through Australian swimming. FOR decades athletes have fallen in love with each other, and their moments of affection in the stands of Olympic stadiums and pool decks have captured the hearts of the Australian public. But, as the Australian swim team deals with the fallout of the split between pin-up couple Mitch Larkin and Emily Seebohm, the pressures of being sport's golden couple has often taken its toll. There were swimmers Stephanie Rice and Eamon Sullivan, the poster couple of Davenport underwear, before their romance ended on the eve of the Beijing Olympics in 2008. Before them it was Giaan Rooney and Michael Klim, another two-year romance that ended in 2003. Australian tennis players Sam Groth and Jarmila Wolfe (nee Gajdosova) split in 2011 after a two-year marriage. Hurdler Jana Pittman and her coach Chris Rawlinson captured Australia when she triumphed at the 2006 Commonwealth Games, got married shortly after and had a son later that year. But from 2009 to 2011 the tempestuous couple had split twice in what Pittman described as a "turbulent last five years that I found incredibly draining". Sports psychologist David Williams said athletes in sporting teams were in sync with each other and out of sync with the majority of the public, meaning relationships were inevitable but breakups became more complex. "Sporting environments are really intimate," he said. "They are close up and you're connected for long periods of time going towards a common goal. "Your largest support network might be your friends in the same infrastructure, and they might be careful who they show their allegiance to, and so the place you go for comfort is now also a potential source of conflict. "You are also sometimes breaking up in front of the Australian public and that's another layer to manage." Pole vault champions Tatiana Grigorieva and Victor Chistiakov were the picture-perfect couple when they arrived in Australia in the late 1990s. But by 2004 their marriage dissolved publicly and Chistiakov left Australia to compete for Russia. 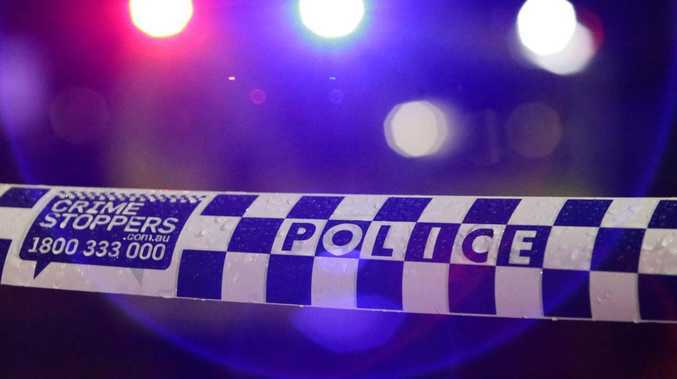 "People got to know us as an individuals but also I think in everybody's minds we were linked as a couple - the perception of me was that perception of us," Brisbane-based Grigorieva told The Courier-Mail. "Having a relationship within a sport just amplifies the good as well as all of the bad. "When it's good it's so much better because the other person understands you and you're able to provide that person support when they need it the most, but your professional and personal lives are so intertwined and it makes it harder to break up." Grigorieva said she was competing in Europe, attempting to make the Australian athletics team, when rumours of her split surfaced in 2004, leading to her decision to make a statement. Tatiana Grigorieva and husband Victor model Grigorieva’s range of pyjamas in 2001. "It was very difficult," she said. "I was trying to keep things together. "I felt I had to work it out for myself, in my heart and in my head. "I remember I had the thought that I had to go back and train every day because when things are cracking and falling apart around you my only consistency was my training." Still, there are plenty of success stories. Engaged athletics couple Gen Lacaze and Ryan Gregson celebrated their five-year anniversary in Noosa this week, while walking sweethearts Jared and Claire Tallent have raised the profile of the sport. Elsewhere in the pool, Libby and Luke Trickett celebrated the birth of their second daughter this year, and Chris Wright and Melanie Schlanger married in Brisbane in 2014. Swimmer Madison Wilson will be in Tokyo next month cheering on boyfriend Kyle Chalmers. Williams said it was important teams had infrastructure in place to "send messaging to their athletes that we care about you as a person as well as a performer". "There's still a ways to go because sometimes we forget our athletes aren't superhuman," he said.